I was reminded recently of the nature of Welcoming Conversations when speaking with Tom Albin, Dean of The Upper Room Chapel and member of the JustPeace Board of Directors, about his experience at the United Methodist 2016 pre-General Conference briefing in Portland, Oregon. 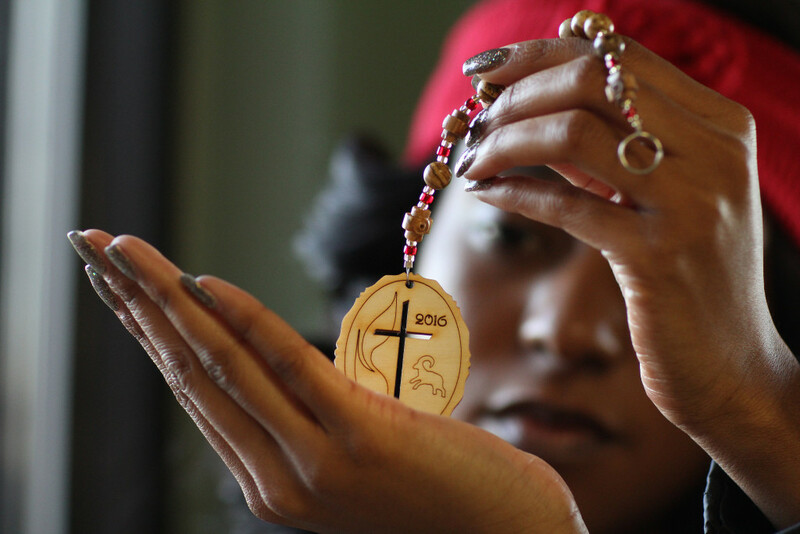 The General Conference prayer team designed a unique wooden medallion with Protestant prayer beads* that was to be given to international United Methodists as an aid to prayer. The combination had deep spiritual and theological meaning for the prayer team, as it was intended to represent the praying community that undergirds General Conference delegates and friends. I found a similarly negative initial response when discussing the medallion and Protestant prayer beads with delegates from three different African nations. Two of them said, “Oh, no. We would not pray with beads; Muslims pray with beads. Protestants don’t pray with beads.” I learned that in each of these contexts, there was a history of deep conflict between Islam and Christianity. When I replaced the Protestant prayer beads with the medallion alone, they said that their people would welcome this gift as something that had been prayerfully created and blessed by other United Methodists. In the case of the third African delegate, he suggested that something with an official explanation would be helpful in understanding the intent of the medallion with the prayer strand. A European leader responded to my inquiry and declined, thinking about United Methodists living in Russia and other eastern nations who have not always experienced good relationships between the ancient practices of Orthodoxy and the newer veins of Protestantism, particularly those of the United Methodist denomination. My colleagues did see the Protestant prayer beads as a gift from their brothers and sisters in the United States, but they equally requested that they not be asked to take them back to their own churches, where cultural context would conjure conflict and misunderstanding, rather than the invitation of spiritual community and prayer across the globe. In light of these conversations, the prayer ministry team has revisited our original plan. Because our international United Methodist colleagues had the courage to speak clearly and honestly, the General Conference prayer team was able to listen and respond appropriately. In the opening worship, delegates will receive a medallion with the Protestant prayer bead strand, each one prayerfully created and blessed, as a tangible reminder that they have an international, anonymous prayer partner. The medallion and prayer bead strand serve as a physical reminder that the delegate, alternate, or church leader is not alone—they are surrounded and supported in prayer. The additional instruction will be, that if, for any reason, the beads are a distraction, the recipient is invited to take the medallion and prayer bead strand to the prayer room or a prayer station where that medallion will be exchanged for one without Protestant prayer beads attached. Symbols and words have different meanings and intents. What does it mean for us to ask questions and listen to another’s experiences, history, and lens? With God’s help, let us prayerfully prepare ourselves to be welcoming in our conversations. *The strand includes three olive wood beads from the Holy Land that represent the three persons of the Trinity and eight jasper beads to honor the Pacific Northwest, known for its earthy character and vast outdoors. The four different colors for the accent beads represent the basic elements of creation: blue = water; brown = earth; green = air; and, red = fire. 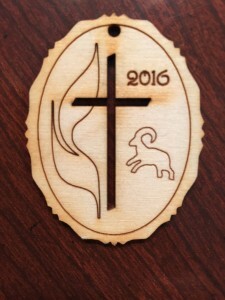 The custom medallion is made from wood and features the United Methodist cross and flame, the year 2016, and a mountain sheep; the sheep reminds us of our Christian call to go and find the least and the lost. See more at Prayer Community for the UMC General Conference: http://60daysofprayer.org/. Stephanie Anna Hixon serves as Executive Director of the JustPeace Center for Mediation and Conflict Transformation in the United Methodist Church. She is a consultant and facilitator in severely conflicted situations and has extensive experience with strategies and processes that assist institutions and communities foster environments of mutual respect and regard for all persons. She seeks to integrate best practices in alternative dispute resolution with principles of faith and spirituality, communication theory and group process. Stephanie earned degrees in Music Therapy and Music Education from Shenandoah College and Conservatory of Music (Shenandoah University) and later pursued theological coursework through the Washington, DC consortium of schools, earning an MDiv from Lutheran Theological Seminary at Gettysburg. Her professional certification in Alternative Dispute Resolution was granted by Hamline University School of Law. She is an ordained elder in the Susquehanna Conference of The United Methodist Church.